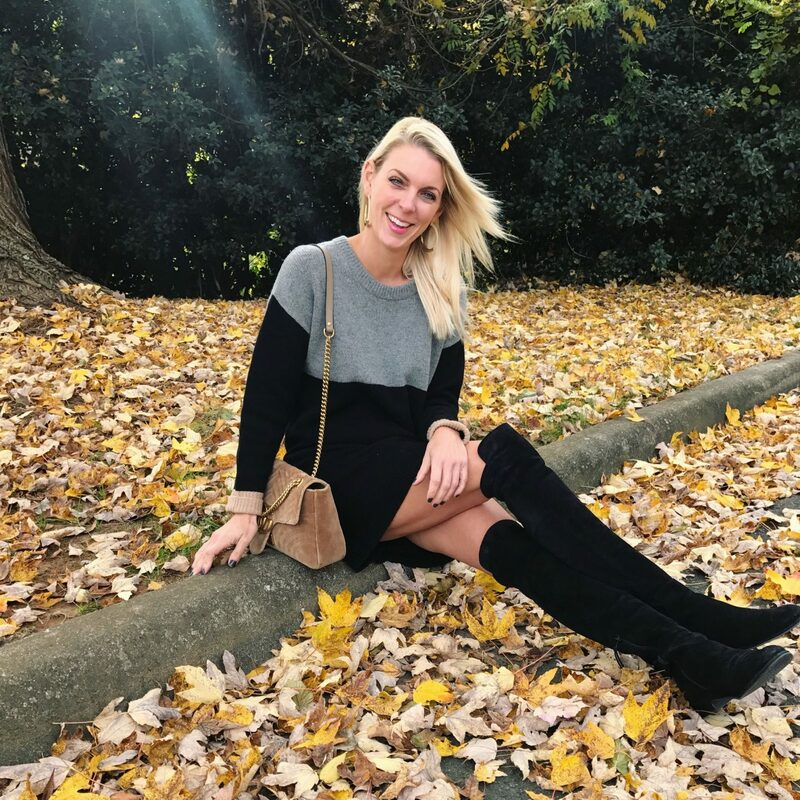 Today I am teaming up with Nordstrom to share one of my go to Fall outfits. 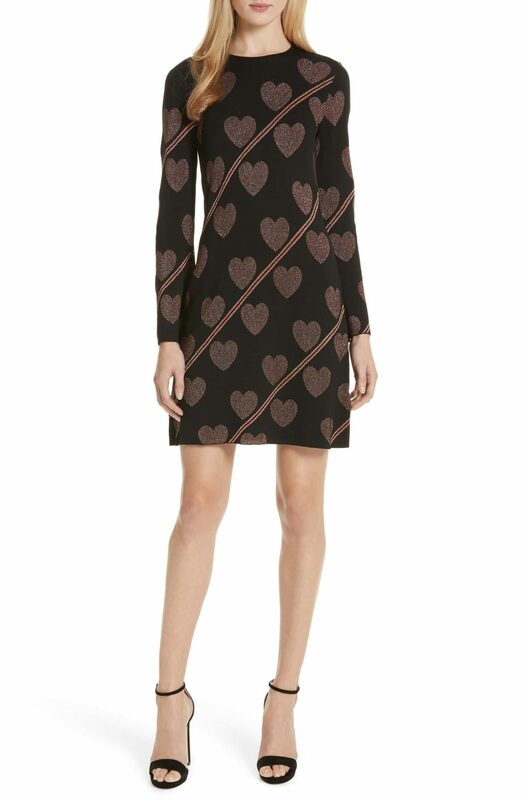 One of my favorite combos in the Fall/Winter is a Sweater Dress and OTK boots. It is an easy two piece look! I invested in Stuart Weitzmen boots 2 years and will vouch they are totally worth the splurge. Great quality and I wear mine all the time. If you want a less expensive version that looks really similar I love these , these and these. 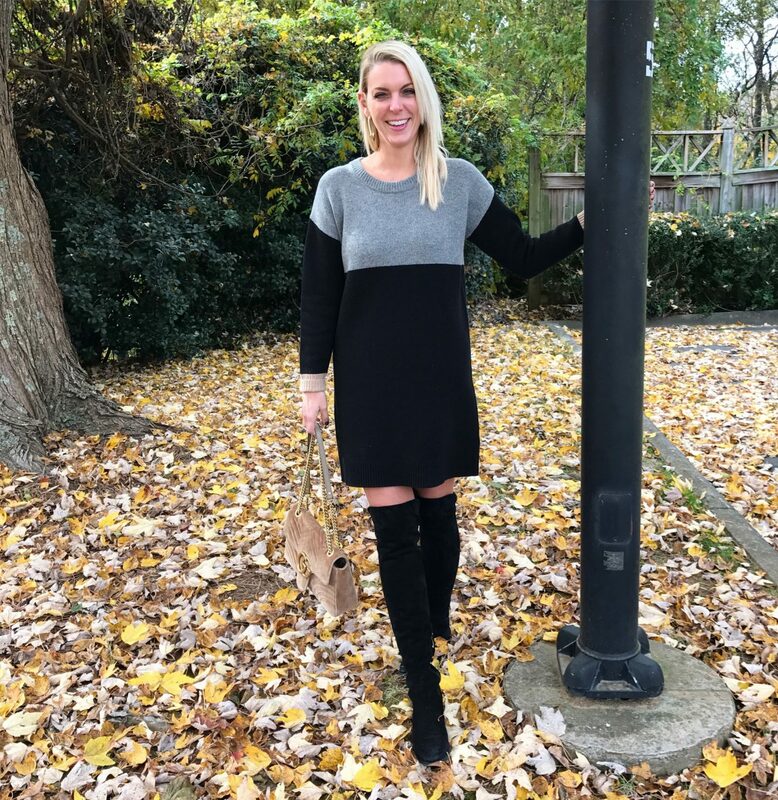 I love a sweater dress because it is a versatile look. 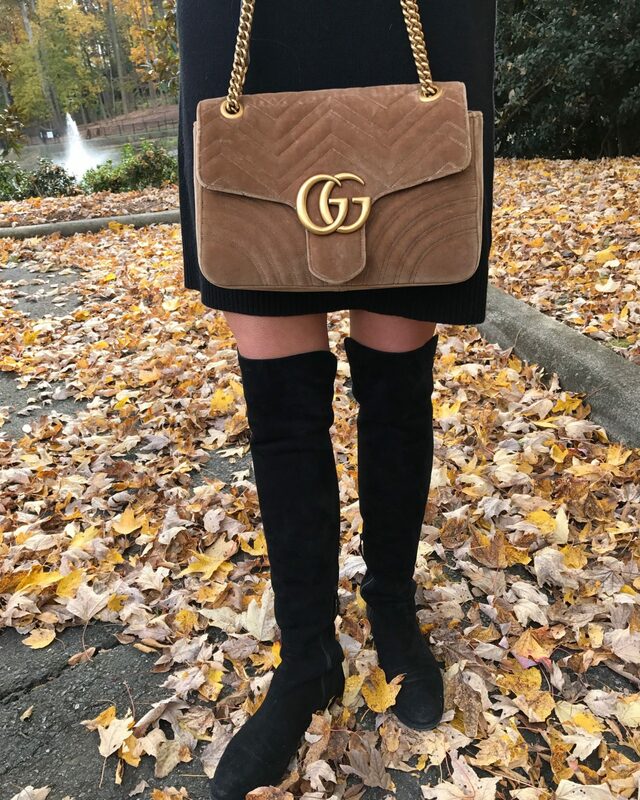 You can keep it casual with OTK boots and booties or dress it up with heels- plus they are cozy and comfy. A sweater dress to me is the equivalent of a tee shirt dress in the Summer both closet staples. 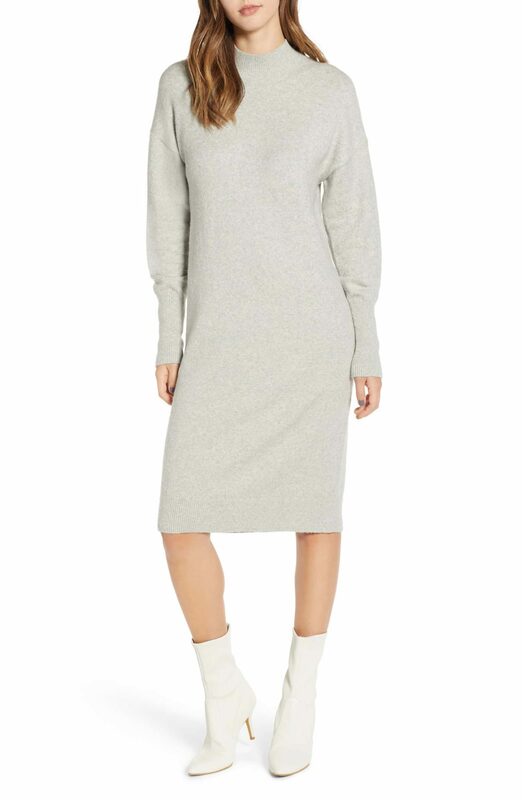 Here are a few other sweater dresses I am digging. Navy Dress– I love the collar and sleeve details. 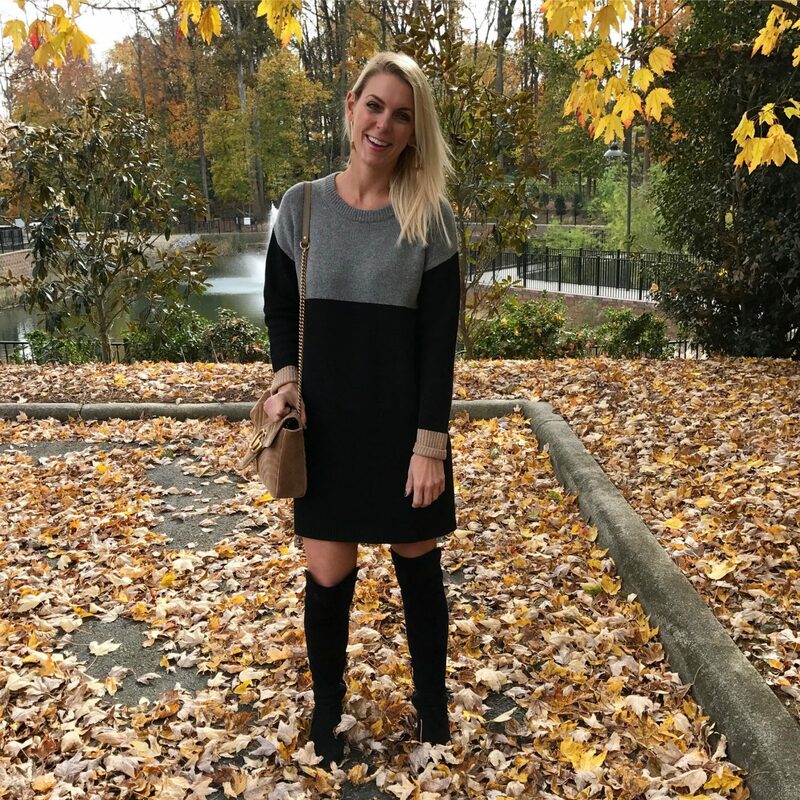 Chenille Sweater Dress– I always love chenille this comes in 3 colors and is under $60. Turtleneck Dress-May be my favorite one. So classic and timeless. 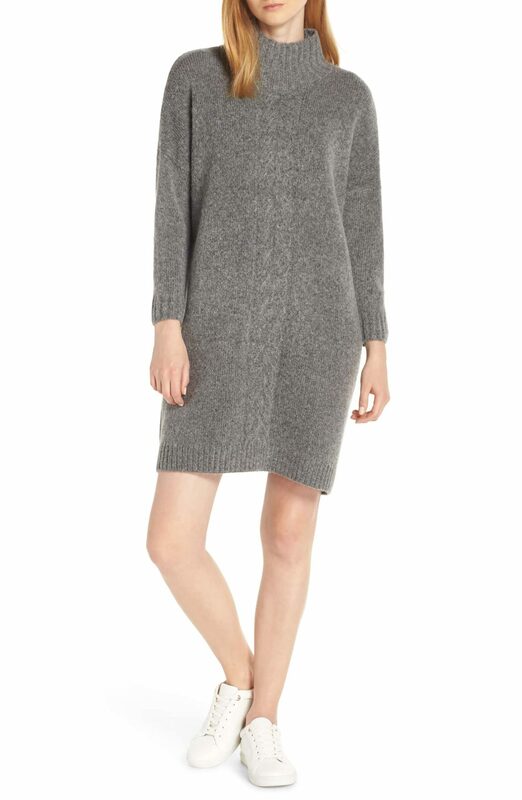 Sweater Dress– This is a great classic one under $60. Any of these would make great gifts! Thanks to Nordstrom for partnering on this post! You can shop my look and other favorites below.